You can take Shinkansen Super Express train bound for Niigata, change at Echigo-Yuzawa station, take local train for Kanazawa, and finally reach Naoetsu station. It takes three hours from Tokyo to reach this small station of Joetsu city, located at the north coast of Honshu island facing the sea of Japan. The city is known for its delicious rice production and it is an area of high snowfall. 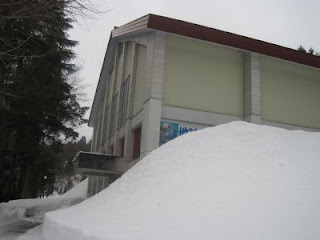 When I got off the train at Naoetsu station in February of this year, the only thing I saw was a huge pile of snow cleared away from the street. 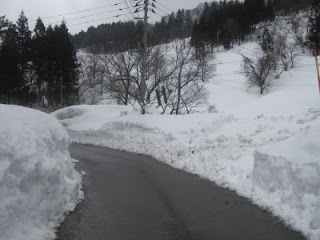 It was a small city impressive of white snow and cold wind from the sea of Japan. NPO (Non Profit Organization) Kamiechigo was established in this city and has various activities in remote villages inside mountain area called “Kuwadori valley” located at the west part of Joetsu city. In Kuwadori valley, the community people have been carrying on traditional life culture based on agriculture and sericulture. As the village is located far from big cities, traditional folk culture such as events, arts, and skills have been conserved for many years. However, in 1960s when the road connected to the city center was completed, modernization rapidly came into the village and most of the young generation has already migrated out to big cities such as Tokyo. As a result, population of the village drastically decreases, the ratio of elderly people increases, and the local community has lost its power and activeness. 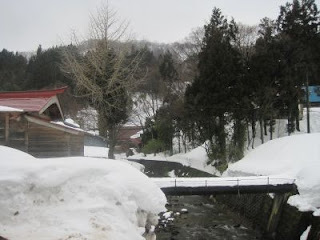 For example, in Nakanomata, one of the hamlets of the village, average age of the total 90 residents is late 70s and even the youngest one is over 40 years old. Traditional life skills of the mountain village such as charcoal grilling, bamboo works, water mill operation, and rice terrace maintenance might be extinct within 10 years as those who inherited such skills do not have any successors. Kamiechigo Yamazato Fan Club (KYFC) was established in 2001 by a group of people who shared the sense of crisis on such situation of the village. KYFC was formed among representative of the community, leaders of the community based small groups, activists of NPOs, and the local administration. Presently it has nine paid staff who are young (mostly in their 20s and 30s). The organization implements various activities involving local community people and outside visitors (mainly from urban areas) such as revival or conservation of traditional community events and providing opportunities of life experience in mountain village to the visitors. It is also entrusted operation and management of two public facilities of Joetsu city administration, “the school of global environmental conservation” (a facility for environmental education) and “Joetsu community forest” (forest park for the city residents). The income from the entrustment of those two facilities is the major source of revenue for the organization. One of the examples of being mediators is an activity of supporting local event for New Year’s day according to the lunar calendar. There has been an event for traditional New Year’s day celebration implemented by a local community group. When KYFC decided to support the event, the staff asked the group “please show us the event”. KYFC thought that it was impertinent if they directly offer the community to provide assistance because KYFC staff did not know anything about the event. KYFC staff were afraid of destroying the traditional event that has been inherited since for long time. In the first year, KYFC just observed the event and took photos. After that, the community people asked KYFC whether they wanted to join the event for the next time. The community members also started to ask to join community activities such as cleaning the community facilities, and KYFC were also invited to attend community meetings after the cleaning activities. Now, KYFC is often asked by the community to send volunteers for cleaning the community facilities before various events. It appears to be a good example of outsiders’ approach to a community. At first, they started attending community events without disturbing initiatives of the community people. Then, they are gradually accepted and asked to help when the community people feel necessary. In various activities of KYFC such as study visits, exposure events, and environmental learning courses, there are a lot of opportunities to take visitors from outside to the village. At those times, the villagers willingly receive them saying that “if you (KYFC) take visitors, it is OK”. Those outside visitors usually break into the ordinary life of the villagers, take photos, ask many questions, and enter the forest and rivers of the village. The villagers accept those outsiders without any hesitation and even enjoy exchanging with them. It becomes possible because of the relationship of trust built between the villagers and KYFC. Then, how was that trust relationship built? Ms. Miura, one of the young leaders of KYFC recalls “I can not remember any specific event that helped us to make good relation with the villagers, but I think the atmosphere had been changed when five to six years had passed after we started activities here. Before that time, some villagers who did not agree with the KYFC activities had opposed against us openly, but after five to six years, they did not express their feeling even if they did not agree with us. The villagers started to think that KYFC staff would continue to stay with them. It was a great progress when the villagers considered us as persons who want to stay for long.” According to Ms. Miura, the villagers do not trust anyone who only gives good words. You should express your emotion by showing your own actions, and then, you will be trusted by the community people. Since its establishment, KYFC staff has been continuing cleaning up the irrigation canals together with the community people, joining members of community fire brigade, attending community meetings, and helping sweeping snow away even in holidays. As persons who will stay long here, they walk together, live together, and act together close with the villagers. It is easy for anyone to say, but it is not easy to do. KYFC has been continuing for nine years since its establishment. Their firm stance to walk with the community can be observed through various activities of the organization. For example, they publish monthly newsletter providing various reports and information of their activities and introducing local communities. Now they distribute the newsletter to all the households in Kuwawdori valley (in fact, it is not possible to distribute to all the houses, but they ask the community association to circulate the newsletter to each household.) When they started circulating the newsletter, the villagers’ response towards KYFC had been improved. The villagers read through the newsletter every nook and corner, and give comments to KYFC. They provide information for a column of the newsletter titling “introduction of local words”, saying “I use this word”, etc. In addition, KYFC starts a page in the newsletter introducing villagers and providing large size photos of landscapes of the village. When KYFC receives new staff or interns, the organization provides an information sheet describing who he / she is from where with photos and circulates it to each household. Even if the new comer only stay short time like one week, if there is a possibility that he / she may have interaction with the villagers, KYFC always introduce the person so that any person who visited KYFC from outside will not enter the village without being noticed by the villagers. When any staff or intern leaves KYFC, it also reports to the villagers. The activities of “the school of global environmental conservation”, an entrusted project from the city government have also consideration to the villagers’ perspectives and feelings. The school provides thirty-four activities for the children and their families from urban areas such as maintenance of forest, observation of wild animals, experience of local traditional foods. 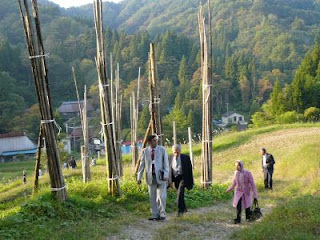 Among those activities, three of them (experiencing agricultural works, being invited by villagers who know well about the village life, and having interview with those villagers) have recently been started as these activities have very close relations with the everyday life of the villagers. The other activities such as maintenance of forest, teaching traditional cooking, or observing wild animals require limited involvement of the villagers. So, it was not difficult for KYFC to start those activities from the beginning, but the three activities mentioned above need full involvement or participation of the villagers, so KYFC spent much time to build trust relationship with the community. When KYFC hold a sports festival with the villagers, every and each program of the festival is discussed and decided with the community people. “Even if it is a simple and easy sport game, the villagers show strong rejection against any new ones that they have not experienced”. The organization had meetings with the villagers at many times to discuss detail in order to facilitate the organizing committee formed by the villagers enjoy managing the festival. All the above efforts of KYFC to pay close attention to the villagers are made possible because the members of KYFC continue to have strong will to walk together with the villagers based on the villagers’ perspectives and feelings. In 2005, some staff of KYFC visited Mr. Tetsuo Yoshimoto, a founder of Jimotogaku in Minamata, and received training on Jimotogaku concept and method. “Before that, we had already practiced research for local resources, and we became sure that our basic concept was not wrong. In addition, we learned the importance of visualizing what was found in the research by using photos, charts, and drawings, and also we realized the necessity of sharing the results of research with the community people,” said Ms. Miura. As they realized the importance of visualization and sharing with the local people, KYFC published a book titled “Nakanomatan” in 2008. That publication was based on what they learned from the villagers of Nakanomata hamlet. It was seven years after KYFC came into the hamlet. They call the villagers “Nakanomatan” with their thoroughly respect towards the villagers’ skills to be self-sufficient for clothes, foods, shelter, energy, and even entertainment. 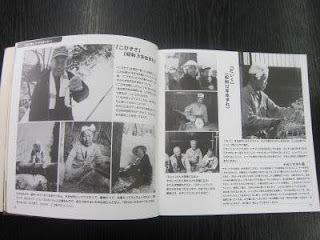 In the book, those precious skills (straw craft works, soba-making, etc. ), unique characteristics of the villagers, everyday works such as rice production and charcoal grilling, traditional festivals, and old tales are introduced with a lot of photos and stories. 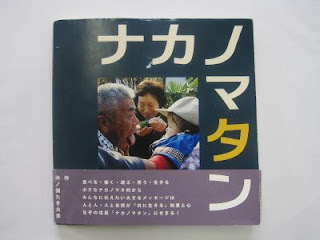 The villagers who read the book express their impressions such as “you really understand Nakanomata well”, “you have been doing such an interesting activities”, and KYFC and its activities have been accepted and acknowledged by the villagers. After discovering local resources and shared them with the villagers through Jimotogaku practice, KYFC presently tried to find ways to utilize those resources. In a local community where the number of residents continues to decrease and the traditional life skills are about to disappear, they want to try new approaches for creating opportunities of earning income in the community so that the younger generation who had already migrated out will be able to come back and the new comers will migrate into the community. For those purposes, it is necessary to find out ways to earn money by utilizing newly-found local resources as the conventional agriculture or other industry in the village can not fulfill the requirement of cash income. “After five years from now, about half of the community may pass away”, “we do not have enough time to wait for the new staff to increase their capacity”, said Ms. Miura showing her impatience and frustration. In the midst of over-aging society, she is sure that KYFC should work as a mediator to bridge between the old generation and the young one. Whatever conditions the villagers may face in the future, it is the community people themselves who should decide all the matters. 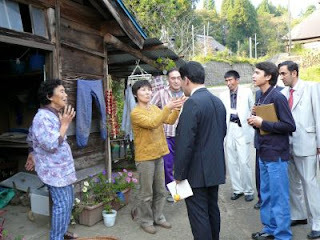 Ms. Miura and the other KYFC members seem to be determined to work as mediators for the community of Kuwadori valley.